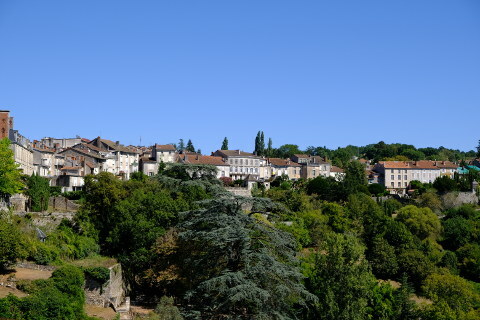 Nontron is a small town located towards the north of the Dordogne department (Aquitaine region) of south-west France, and 16 km to the north of Brantome, in the region known as Perigord Vert. A quiet town that is officially listed as a 'recommended detour', Nontron has a long history reputed to date back 3000 years, and evidence of prehistoric settlement in the area. There are several points of interest to discover during your visit. You will start your visit in the main square in Nontron, where you can see the town hall and a decorative fountain. Various restaurants, bars and shops can be found around the square and it is a pleasant place to take a break. Let yourself be diverted to see the art exhibitions in the 'Espace des Arts', then continue along to Place Albert, where you can visit the workshop where the famous Nontron knives are made - as they have been for more than 500 years. This is also one of the best places in Nontron for having views across the countryside. From here you can stroll down through well maintained public gardens in the shadow of the 19th century Chateau of Nontron to the little Bandiat river that flows below the town. 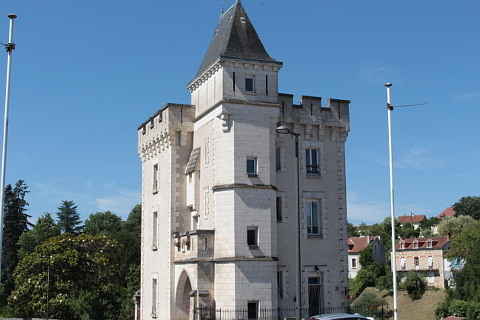 Substantial parts of the original fortifications for the town can be seen from Rue de Perigueux and there are various medieval half-timbered houses in the old town around Rue des Ecoles and Rue Picaud. Note that the square tower of medieval appearance on the edge of Nontron is an early 20th century addition, which was only granted planning permission if the council could tell the owner how it should look! 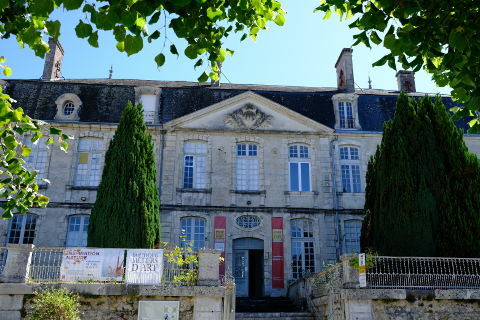 Moving forward a couple of centuries, don't miss the Hotel d'Albret on Rue Camille Chabaneau which is a fine 16th century renaissance style building with a decorative facade and a beautiful stone spiral staircase. 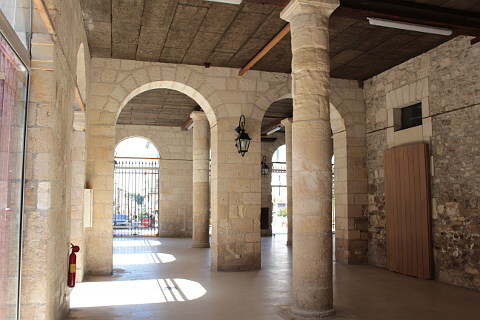 You will see other renaissance period buildings as you explore the centre of Nontron. Nontron knives are famous throughout France and as well as the museum there are various shops selling the knives. 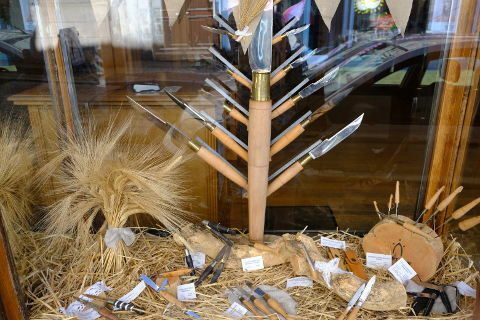 Knives have been made here since the 17th century and producers here were the first in France to produce folding knives. In August there is a knife festival and around a 100 knife producers from around the world come to display their knives and cutlery. This usually takes place the first weekend of August. In a raised position overlooking the Bandiat Valley and the surrounding Dordogne countryside, and with the Regional Natural Parc of the Perigord-Limousin to the north of the town, Nontron is well placed for exploring the Perigord Vert. Among the villages close by visit Bussiere-Badil and Varaignes, then head perhaps for the rock formations at Roc Branlant and Roc Poperdu. For traces of prehistoric life near Nontron visit the cave paintings at Villars Cave. 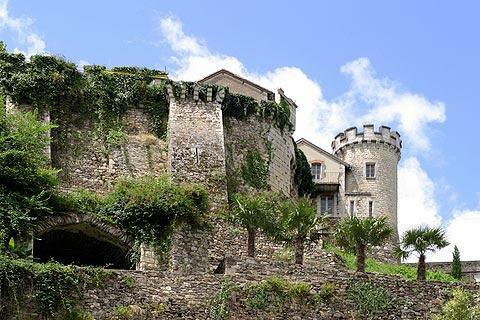 The lovely Renaissance Chateau de Puyguilhem is nearby as is the beautiful town of Brantome which is one of our favourites in the Dordogne area and definitely not to be missed.